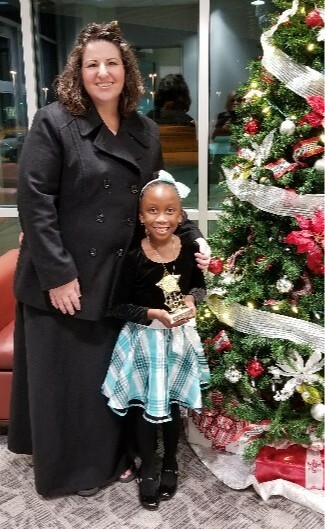 Kindergartner Gamiya Landrum has been chosen as TJE's School Board Superstar (formally Superintendent's Star Award). The students are chosen based on their outstanding character, citizenship, fairness, honesty, kindness, respect, responsibility, and trustworthiness. Gamiya is the daughter of Vincent & Sonya Landrum (below) and is in Ms. Myrick's class (right). She likes to play twister and play tag outside. Gamiya wants everyone to know that she loves her sisters Jade & Amber.